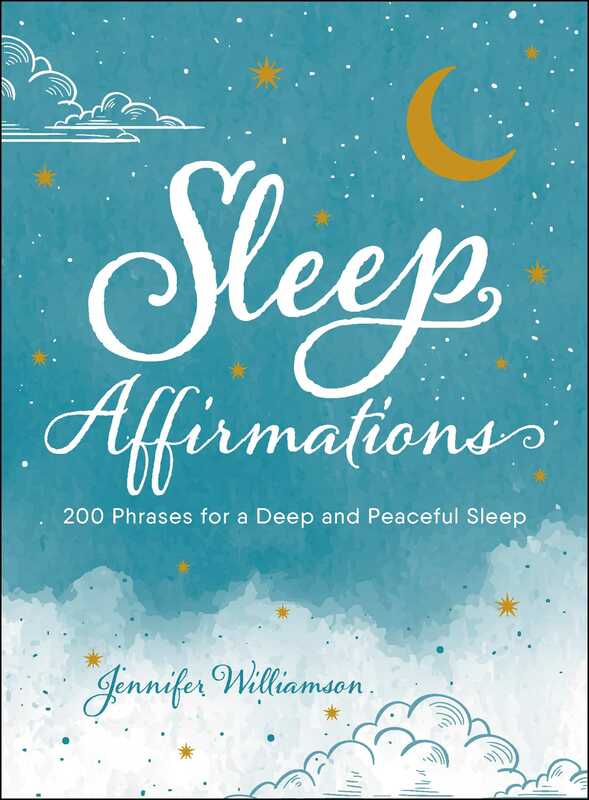 The perfect bedside companion, with 200 affirmations that will help you get to sleep—and stay asleep—and wake up refreshed. One out of three American adults have trouble getting to sleep each night—chances are you’ve spent some nights either tossing and turning, or waking up in the middle of the night and not being able to get back to sleep. This book helps you get into the best mindset for sleep, allowing you to enjoy deeper, more restful sleep through the power of 200 short affirmations, easily accessible in a flip-through format. These soothing messages will encourage you to leave the stressors of the day behind—and get ready to embrace the possibilities of tomorrow. Jennifer Williamson is the writer and creator for the website AimHappy.com, a blog which seeks to support those in need of healing messages of hope and inspiration. She lives in Spencer, Massachusetts. "This book … approaches the sleep issue from several different angles and soothes some of the thoughts that could be running through your mind as your head hits the pillow. It addresses things like money worries, change … and all the times you may have told yourself that you just can’t sleep. Each affirmation has a paragraph with it to expand upon the idea and belief that you can and will sleep well." "If you've tried everything to find dreamland short of renting a flock of sheep to count, try Sleep Affirmations. Each phrase is accompanied by a short statement meant to help you make these deceptively simple truths your own."